Tony Carl Richey, 68, of Winooski passed away peacefully on Thursday January 15. Tony was born in Gilmer, Texas on December 24th, 1946. Tony was most at home outside. He loved animals, especially dogs and horses prompting him to ride everything under the sun. Tony attended Hardin-Simmons University in Texas and served in the US Navy from 1968 until 1972 during the Vietnam War. He was later a graduate of San Diego State University. He was always proud to be a Texan even though he lived most of his life in Vermont. On January 7, 1978, Tony married the love of his life, Lynne Campbell, who was with him until his passing. Tony most recently was employed by the University of Vermont. Boating after work or on the weekends with Lynne was a favorite activity as was hunting with friends and family. Tony was a big man with an even larger heart. He had a way of making everyone feel welcome with big smiles, big hugs and big stories. He is survived by his wife Lynne; son Sean Nary and his wife Tammy; his mother Leola Wiseman of Lubbock, Texas; and sister Linda Woodfin and family of Hobbs New Mexico; his grandsons Cody, Austin, and Jesse; also his “in-law” family Tom Campbell, Mary Campbell, Tim and Nancy Campbell, Lori and David Raymond, Jay Campbell, Kelli and Todd Langlois, Kathy Campbell & Tony’s precious dog Bailey. In addition, Tony loved his nieces and nephews, Brittany, Ryan, Adam, Jason, Kyle, Casey, Nathan, Hailie and Ellie, Landan & Donovan and many other beloved extended family members. 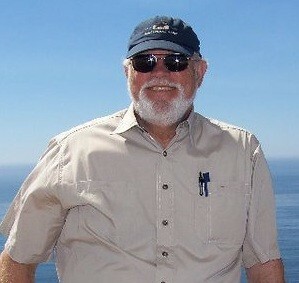 He also leaves behind special friends Andy Rapp & wife Debbie and their family. Tony was predeceased by his father Berchal Richey, stepfather Earl Wiseman and his sister Betty Ann Gober, his father and mother in law, Maurice & Lorraine Campbell. There will be a celebration of Tony’s life at the VFW in Winooski from noon until four pm on Tuesday, January 20th. In lieu of flowers, the family asks that donations be made to the woundedwarriorproject.org or the Vermont National Guard Charitable Foundation. Online condolences may be shared with the family at lavignefuneralhome.com.